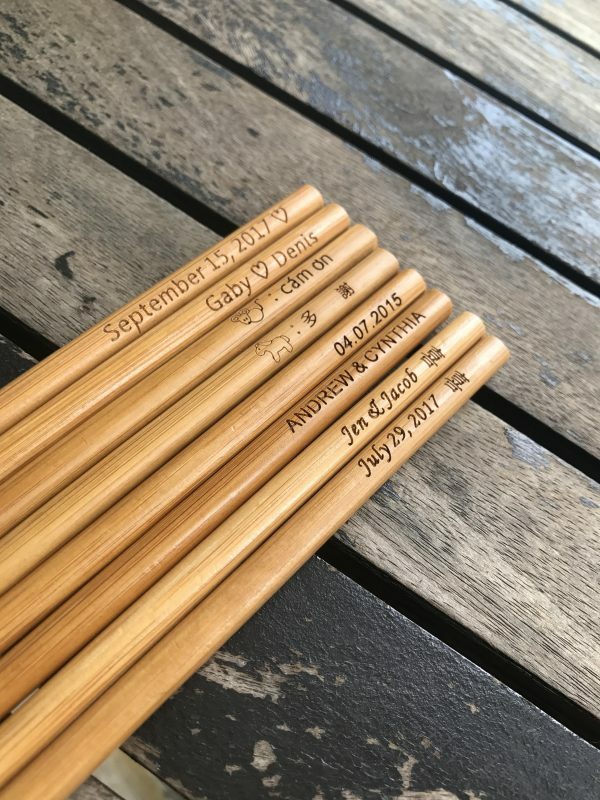 Our chopsticks are made of natural bamboo, and each is engraved with the couple’s names and date or a personal message of your choice. You can even have your names and date engraved on one chopstick and a special thank you message engraved on the other. 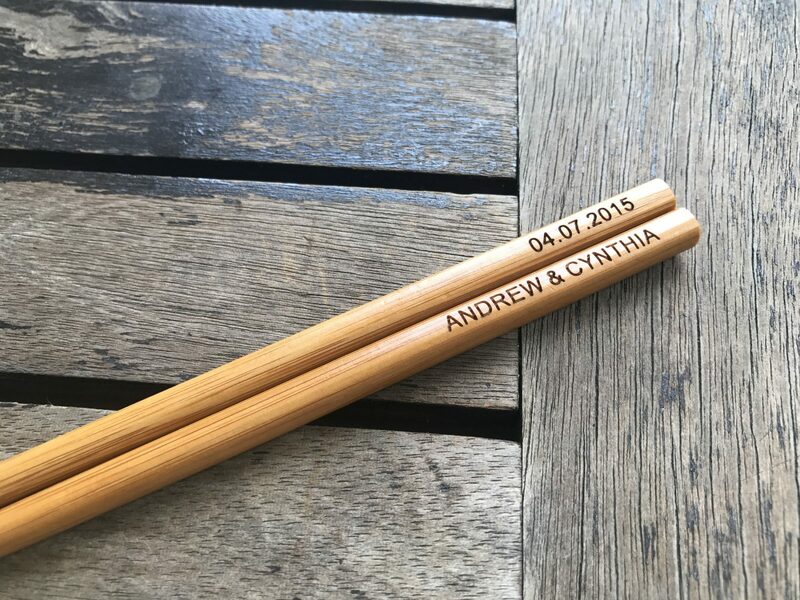 These custom engraved chop sticks are perfect personalized favors for weddings, birthdays, baby showers, anniversaries and business promotions. Our chopsticks are made of natural bamboo with a tapered end for easy food pick up. Laser technology allows for clean, precise engraving. Engrave up to 25 characters on each 9″ long chopstick. Because the laser actually burns into the wood, your personalized message will not fade or wash off over time. An elegant bamboo wood box for the chopsticks is also available. The lid for the box is beveled on one side and can be opened by sliding it with your finger. This wedding favor is a great gift for your guest to remember your special day. Let them know that the bride and groom are “the perfect pair”. *Total (Products + Delivery Cost) will be calculated and sent to you for payment. *If time is a critical issue, order earlier and tell us the Exact Date you want to receive it. This entry was posted in Chinese Wedding Favors Ideas and tagged chinese banquet, chopsticks, engraving, party favor, personalization, Wedding Banquet Favor, wedding favor, Wedding Gift.